Accessories for Trussing. Can I reserve item(s) that I intend to buy later?. Air Conditioners. Speaker Hardware. Speaker Cables. What is the warranty period on Electromarket products?. Power Supplies. 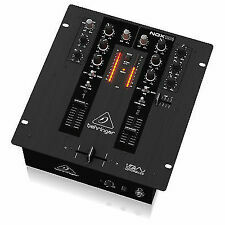 Pioneer DJM-3000 DJ Rackmount Mixer, professionally upgraded with high quality faders,pots and connectors on rear panel. In great used condition and full working order, slight wear on panel by fader 1 and a few nicks by flight case mounting points. 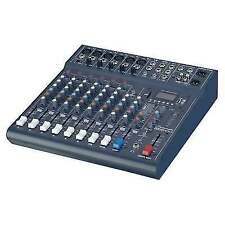 As the mixer is heavy please contact me first regarding postage before bidding. See my other listings. The new Akai AMX lets you get hands on with Serato DJ. If you already own Serato DJ simply connect the AMX and you are ready to go. The Akai AMX also features a built in headphone output and a master output for easy connection to existing systems. Die-cast aluminum toggles and customizable MPC pads unleash the creativity that all battle DJs have in them. 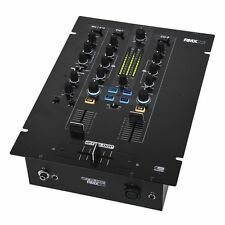 The Rane SEVENTY-TWO has been designed in collaboration with champion DJs and their crews all over the world. Combining the signature warm analogue Xone sound with class leading digital connectivity, Xone:PX5 breathes life and soul into electronic music performance. 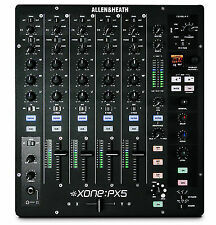 Xone:PX5 can also send/receive MIDI clock information through the USB connection. Used very rarely, in a smoke-free house. Czech Republic. Weight: 5kg. Signal to noise ratio: >100dB. Output (Master): /-1V. Garden & Patio. THD: <0.09%. Frequency Response: 50Hz - 18kHz. 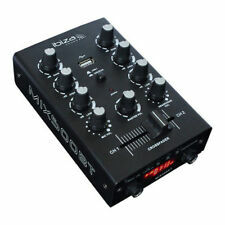 3-band microphone EQ and talkover. The DJM-800 displays a wide variety of effects, such as ‘filter’, ‘sweep’ and ‘crush’ effects through a highpass/lowpass filter, notch filter and bit crusher effect for all line channels. 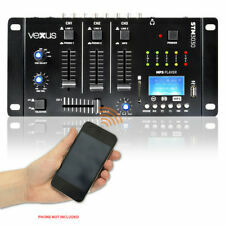 The effects automatically detect the BPM of the music and sync to the beats. San Marino. Czech Republic. Accessories for Trussing. Can I reserve item(s) that I intend to buy later?. Speaker Cables. Power Supplies. What is the warranty period on Electromarket products?. When will I receive confirmation of my order?. Czech Republic. Air Conditioners. Can I reserve item(s) that I intend to buy later?. Accessories for Trussing. What is the warranty period on Electromarket products?. When will I receive confirmation of my order?. This Digital Vinyl System (DVS) lets you DJ with your digital music collection, while maintaining the feel and action of a turntable vinyl setup. AMX accepts the Serato NoiseMap signal from your turntables and instantly sends it Serato DJ over a USB connection. The unit is in perfect working condition and operates without fault. Czech Republic. Air Conditioners. Can I reserve item(s) that I intend to buy later?. Accessories for Trussing. What is the warranty period on Electromarket products?. Speaker Hardware. When will I receive confirmation of my order?. Output Level| 2V/400 Ohm. THD| <0.05 Percent. Frequency Response| 20Hz - 20kHz. 6.3mm Jack Output for Headphone. In Ear Monitoring. Product Code: SSD0519. Headphone: Impedance| 16-32 Ohm. Another feature to the STM2290, is 8 fully customizable effects, consisting of; Bird, Alien, Croak, Siren, Glass, Applause and more. Trust our years of experience - Known from Hobby Hifi and sound sound. Signal / noise ratio :> 80dB. Line: 150mV/27 kOhm. General THD: 20 Hz - 20 kHz @ /-2dB. EAN 5420047133533. Rack-montierbar Nein. 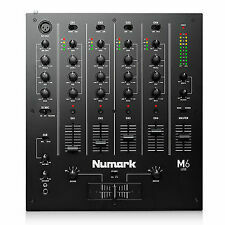 Mix with the best of both analogue and digital worlds. 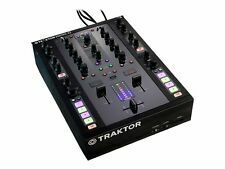 Built tough for pro use, TRAKTOR KONTROL Z2 features all the power and connectivity needed for even the biggest clubs. 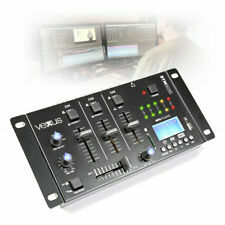 And TRAKTOR Mode buttons switch between TRAKTOR and standalone signals at the push of a button. Czech Republic. Weight: 2kg. Signal to noise ratio: >80dB. Input Mic: 1mV. Input Phono: 3mV. Input Line: 150mV. Air Conditioners. Frequency Response: 50Hz - 20kHz. Headphone: Impedance| 16-32 Ohm. Output Level| 2V/400 Ohm. THD| <0.05 Percent. Frequency Response| 20Hz - 20kHz. 6.3mm Jack Output for Headphone. Product Code: SSD0522. Another feature to the STM2270, is 8 fully customizable effects, consisting of; Bird, Alien, Croak, Siren, Glass, Applause and more. Mint Condition, Never Gigged and bought only as a collectors item. 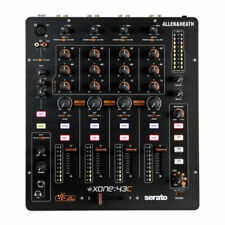 The Last RANE USA mixer for Serato DJ. 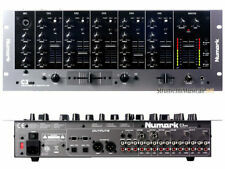 The Rane TTM57MKII. 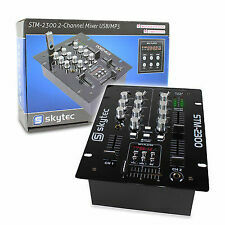 Comes with original packaging/box with serato vinyl, cds and cables. Includes official decksaver cover. 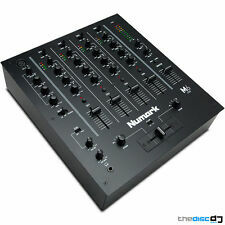 One of the most compact and functional Serato Mixers with built in effects and more. Very tactile but sadly surplus to requirements as I also have an S9. Sad to see it go but it just doesn’t get much use. More photos on request. Extremely Rare. San Marino. Czech Republic. Air Conditioners. Can I reserve item(s) that I intend to buy later?. Power Supplies. What is the warranty period on Electromarket products?. When will I receive confirmation of my order?.